What do you think about Evoc Snow roller gear? 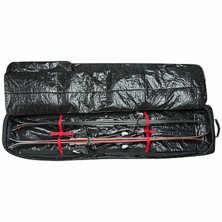 -parts in the large compartment between skis and other. -moving pull chain for large compartment. Not exposed to wear in the same way as on minimal dakine bag. compartment for avalanche equipment. Keeps the stuff in place. 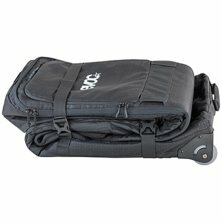 - Easy and holds 155 L (XL). No so far. Maybe the function is to roll up the case and adjust the length that the duchebag has. Easy and size will not set limits for what you can bring. Will be the weight. Many smart features and it accommodates everything you need on a trip. The details feel well thought out. 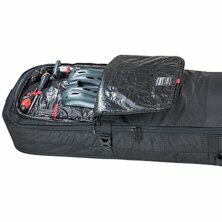 I like divisors in the big compartment so you don't have to pack dirty / wet skis with clean clothes when it wears off to the next place.